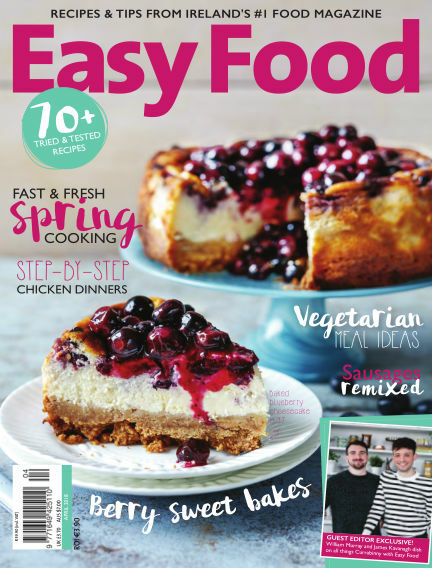 In this issue of Easy Food : Easy Food is Ireland’s best-selling monthly food magazine. It is the ultimate cooking and kitchen guide for home cooks. Inside each issue are fail-safe recipes that are tried and tested in our very own custom-built test kitchen. Plus handy tips, kitchen know-how and food news – a must-read each issue! With Readly you can read Easy Food (issue Issue 129) and thousands of other magazines on your tablet and smartphone. Get access to all with just one subscription. New releases and back issues – all included.